If we are going to do it, do it right the first time. There are currently 4 users and 9 guests online. 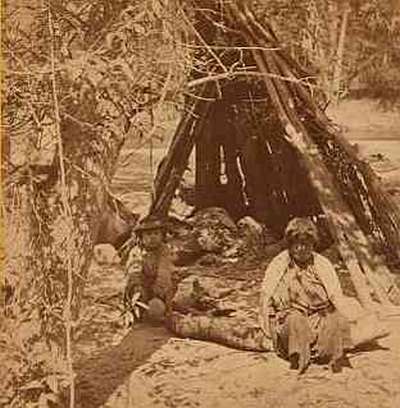 Native American life in Yosemite Valley. 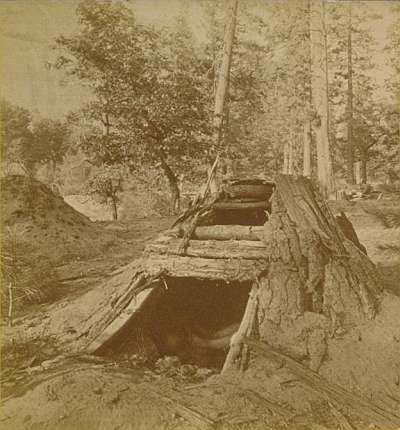 A trip into early Yosemite American Indian life. Submitted by Ahwahnee on Fri, 2006-07-07 14:37. 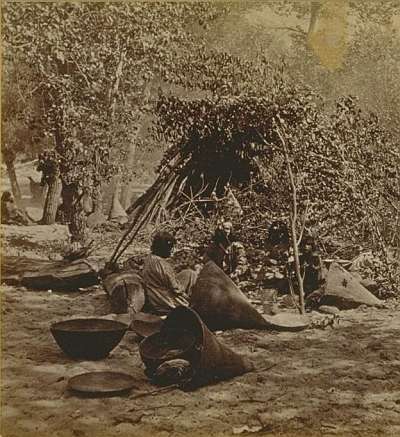 NATIVE AMERICAN INDIAN LIFE IN YOSEMITE VALLEY. 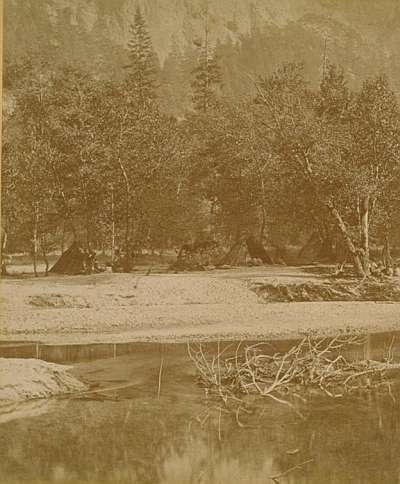 Paiutes camped in the Sierras. photo no. 1571; Here Muybridge can see the Indian encampment along the Merced in the distance as he approaches. I can't tell if he is on a boat, on the other side of the river or on an embankment. photo no. 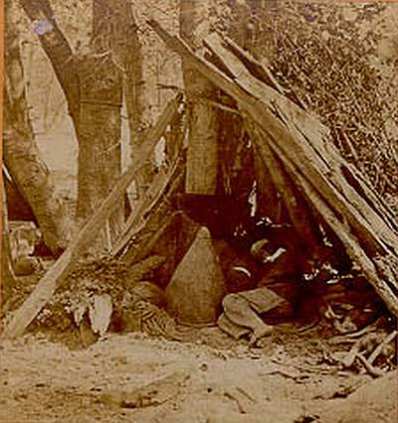 1574; Titled "Piute Chief's Lodge". Here Muybridge goes to the "Piute Chief's Lodge" and photographs the interior of the Paiute chief's lodge. He probably went up to the headman first to ask if he could take photos or try to converse with him. That last sentence is just a guess, but it is probable since that is the first photo up close. photo no. 1575; Muybridge takes photo of a meeting of ceremonial significance. Someone is talking. In Paiute we had people we called "Talkers" who told of the traditions and history of ceremonies since we had no written language. photo no. 1577; Muybridge takes a photo of men sitting on a log. They are wearing hats and other western style clothing. 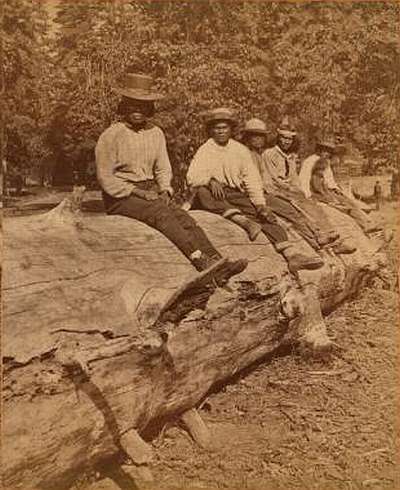 It was titled "Piute Bucks on a log". photo no. 1578; I don't have this one. photo no. 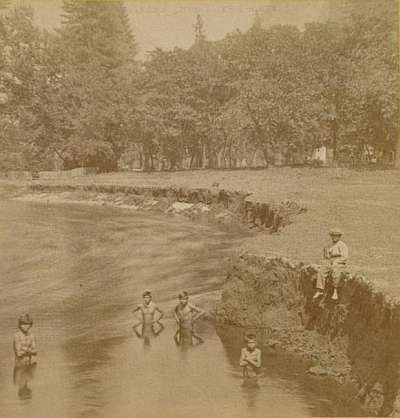 1579; Muybridge takes photos of young teen males swimming in the Merced. Trying to keep cool in the summer. The title indicates that it is summer time and is called "A Summer Day's Sport". Paiute kids are trying to keep cool as the older people meet. photo no. 1580; Muybridge takes photo of an "Octenigarian" and a young boy. The face of the woman is blurred. They have a simple camp. photo no. 1581; Muybridge then photographs a "Medicine Man Sleeping" below. His house was created with boards leaning against a tree to make a shelter. His Wono (burden basket) lays next to him. photo no. 1853; I don't have this one. photo no. 1857; Muybridge photographs Albert Bierstadt painting a an Indian man in front of the Paiute chief's lodge as other Indian men watch Bierstadt paint from behind. The man in front of the chief's lodge looks like Captain John, the leader of the Yosemite - Mono Lake Paiutes. The man who one of my elders said threw the rock that killed Chief Tenaya. *These photos were numerically sequenced to show Eadweard Muybridge's journeys into Yosemite Valley. Submitted by katbird on Sun, 2006-07-09 14:51. Interesting pictures that capture some of the everyday life. Thanks Katbird. Example of Yosemite American Indian sterograph. Submitted by Ahwahnee on Thu, 2006-07-13 19:40. I am glad you took the trip back into time with me to old Yosemite Indian days. The photos had numbers on them which makes it easy to put in sequence. They do have names like "Piute Chief's Lodge" and they were sterographs. 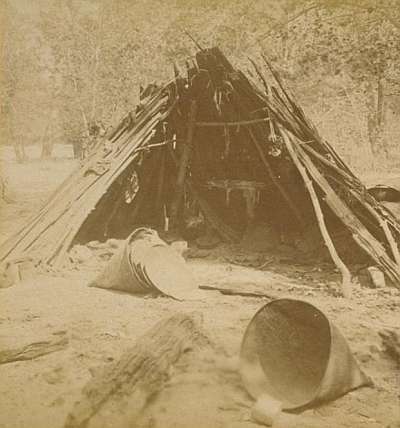 For lack of space we only put one of the photos in the sterograph, but I hope people can still enjoy them and see how we Paiutes lived in Yosemite before 1900. Here is an example of a pictorial sterograph by a photographer named Soule titled "South Dome and Piute (Paiute) Caches, or Storehouses for Acorns". Submitted by Linda1 on Fri, 2006-07-14 15:22. Great pictures! I spent many summers in Yosemitee as a child, and as a young adult, My Uncle was the track coach of Oakhurst High School, and we would go along while he trained his team in Yosemitee. I have great memories of that. Me and my friends had a blast. Submitted by Linda1 on Fri, 2006-07-14 15:25. I love your posts they are so informative, and the pictures are wonderful. Why doesn't Yosemitee validate the fact that the Pauite lived there first? If you can prove it, why dont they acknowledge you? I know very little about this, but I'm quite curious. Submitted by Linda1 on Sat, 2006-07-15 10:50. I have a question for you. Are Native teachers trained in drug use? Do they use drugs too? Linda1, great question...the answer is long one. Submitted by Ahwahnee on Sat, 2006-07-15 19:27. You see Lafayette H. Bunnell was the only person to meet and write about Chief Tenaya and the Yosemites, but he never wrote a book about his exploits until several other authors "made up" their own exploits about Yosemite history and the Indians. Supposed Indian ethnologists of that day had gone in and talked to those who helped James Savage. They mistakenly thought they were Yosemites. They were really Savage's Miwok miners around Mariposa and got it all wrong. 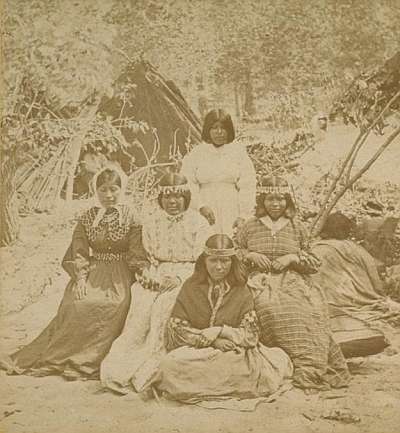 The Ahwahneecees had been absorbed back into the Mono Paiutes after the death of Tenaya, at their hands in 1853. Miwoks in fact had been the Indian scouts, guides, miners and workers for James Savage and NOT the legendary Ahwahneechees. Bunnell even mentions that. You see the original Indians were Paiutes. My great grandfather had always known this and would tell us stories about how the Paiutes were the true Yosemite Indians. In the early newspaper accounts around 1910-1920 they talk about Mono Paiutes and the Indians coming from Mono Lake in their annual treks. 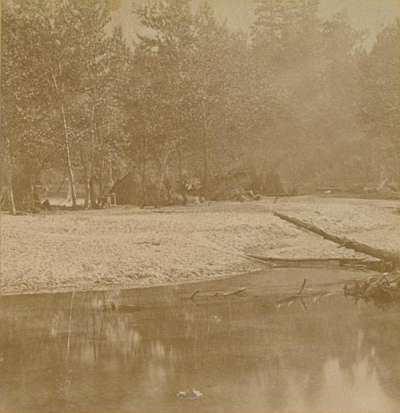 Even in early photos the photos that had titles had "Piute" on them and not Miwok. Later in the late 1920s Yosemite was going to make housing for its Indian employees, the ones who got along with them, but they were only looking for those who would claim they were Miwok, since they falsely got it wrong from the early ethnologists. In fact C. Hart Merriam was one of them and the man who was deciding who got new Indian housing was a man named Lawrence Merriam, no doubt a relative of C. Hart Merriam and his faulty works. A lot of Yokuts and Central Miwoks, to get a free new house around the Depression time, started to say they were Yosemite Miwuks. Even a couple of Paiutes started to say one of their ancestors who had died in 1903 was a Miwok, but she was Paiute to get a free house. Those were difficult times and most people lived a very hard life during the 1920s so to get a free house they "claimed" to be Yosemite Miwok when if fact there was no such thing. What is sad is that no one working at Yosemite National Park ever read Lafayette H. Bunnell's book. If they did they would've seen that the early Yosemite Indians were really Paiutes and not Miwoks. No one really checked because there was no need too. Later around 1970s many people started to 're-organize' tribes that had been terminated and some of the Indian employees of Yosemite decided to do the same. Yet they were not one tribe, but by now several different tribes with different cultures and many went home to their own areas during the off season. Around the same time Yosemite National Park hired this guy named Craig Bates, who as a teenager was attracted to Miwok/Maidu culture. I had heard he was raised by a Miwok family and later married one of the daughters. Yosemite hired him and than several of us believe he made it his personal agenda to make everything Miwok. He was personally involved in putting a new roundhouse in Yosemite, where there was never one before, only a Paiute sweat lodge. He started to write books and change or imply that Paiutes and Yokuts were Miwoks. Even some of the young Indian people started to believe that. We still had known the truth. 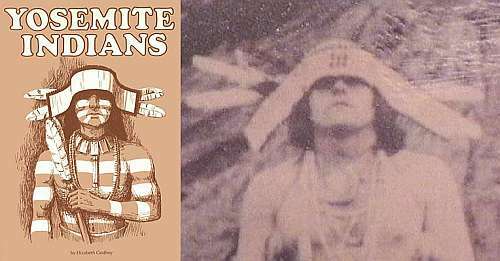 Than one day one of our people saw that Craig Bates had changed THEIR ancestor, who was a Paiute, into a Miwok. They wanted to know why he did this or where he got his information. 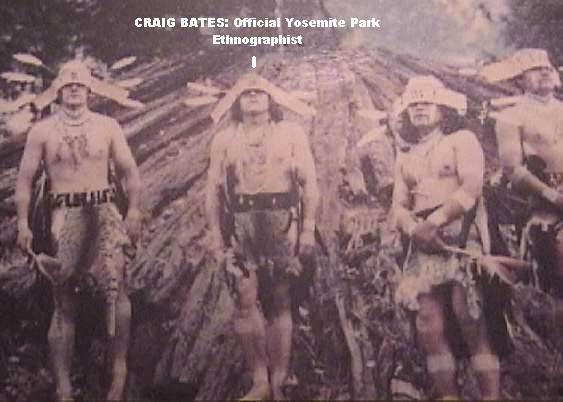 We have heard nothing to date, in fact Yosemite stands behind Craig Bates, even though we believe he falsified many of his works or implied things that were not truth to carry on his myth of the Yosemite Miwoks. In all of his writings we have never seen any type of University or College degree for him to be an official Indian expert at Yosemite NPS. The only thing that he had was that he was married to a Miwok woman and now has a Miwok son. In his writings, which theYosemite National Park uses in their publications and website, he has erased the Paiutes, more made us visitors, or trading partners (which is another falsehood), yet has put the Miwoks as the main center piece of Yosemite. He has done this using Paiute and Yokut people for his work. There is a lot more, but it is very long...and I am here to correct this huge injustice done by this non-Indian against my people, the true Indians of Yosemite and Hetch Hetchy. He has made it his personal mission to imply that we were bit players in Yosemite when we were the main Native people of the area. In 1999 Yosemite National Park Service signed a 15 year agreement with its own Indian employees who in turn are going for federal recognition as Southern Sierra Miwuks. 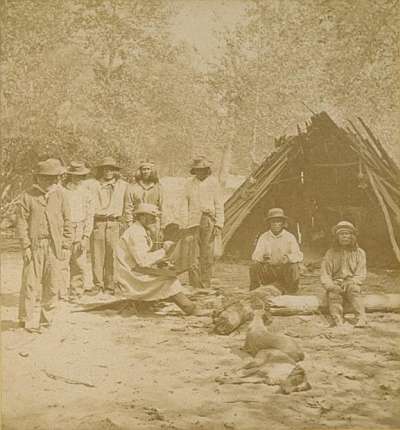 Most are not the original Indians of Yosemite, but descendents of those who went to work for the park. The Park Service is basically using their Indian employees to OK projects like digging up things around Yosemite. We believe those same Indian employees are going along with it because they want to be federally recognized. They are not an official tribe, but a non-profit made up mainly people who are ALREADY ENROLLED IN DIFFERENT FEDERALLY RECOGNIZED TRIBES. Thus it is all a sham. Some believe they are doing this to get a big casino right outside of Yosemite either in Midpines or Mariposa once they become federally recognized. Of course Yosemite won't listen to us, because they are all 'friends' with each other since they work at the same place. They have been openly helping thier fellow employees to become federally recognized. In many books the same Indians thank Yosemite National Park employees who have helped them in their quest to become an official tribe, yet most are already enrolled somewhere else. Yosemite National Park Service believes their fellow employee Craig Bates also, who we can prove has written questionable publications. Bates was also PAID BY TAXPAYERS FOR 30 YEARS TO WRITE THESE FABLES. He is a supposed noted author and federal governmental employee. We are doing this to inform and educate the public to these injustices commited by the Park. We went back and looked at some of Craig Bates' early sources and most came back Mono Paiutes and NOT Miwoks. We believe he had to know he was writting this stuff, but thought no one was ever going to question him. He even had the 1928 California Indian Applications above his own personal desk at Yosemite National Park Research Library. Instead of listening to our concerns, Yosemite National Park questioned US that we did not know who OUR ANCESTORS WERE...yet took Bates' word for it. His word that means nothing to us, because, like the Indians used to say in old movies "He speaks with forked-tongue". Craig Bates in the center of this photo dressed in Miwok regalia. *Regarding you question about drugs. 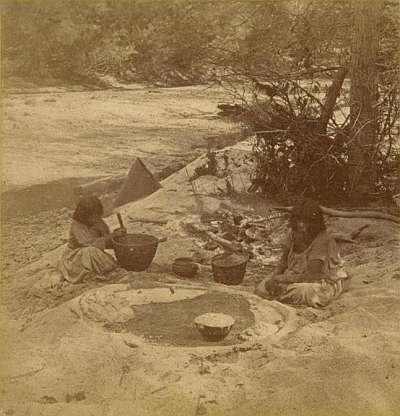 In olden times Paiutes and other California Indians used Jimeson Weed...some used Peyote in the Southwest. Drugs now a days are destroying our reservations and rancherias. 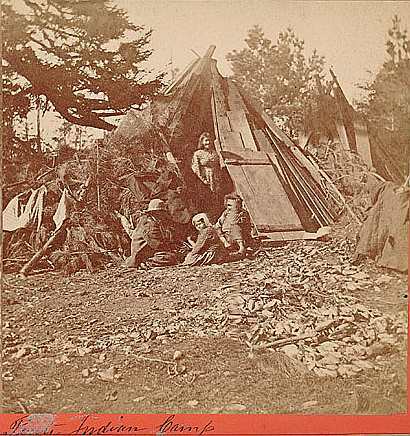 Revised Yosemite Indians book with Central Miwok and Craig Bates. Photo of Mono Paiute Maggie "Taboose" Howard was unceremonisouly taken off and replaced with a drawing of a Central Miwok, which to me, looks suspiciously like a drawing of Craig Bates in Miwok ceremonial regalia. Now some are calling us trouble makers and some are even saying we are liars, which we are not. They are "trying" to discredit us, but we know who our people are. Those who call us that should look in the mirror and see what they are doing to the original Yosemite Indians is a crime. You see Linda1, they have much to lose if the truth ever comes out and much to gain if people believe them. They have already gotten thousands of U.S. tax payers dollars and if they convince people of their fable will get even more if they get a casino. We on the other hand, have nothing, nothing but our pride in our ancestors and in our people. Yosemite Native American Numa That is very cool. Submitted by Interested_NDN on Sat, 2006-07-22 00:08. Ahwahnee that is truly cool. I have seen some of those photos, but never knew they were numbered. Good job. Why does that Craig Bates dress up like a Miwok? That is the first clue that he was not right. That right there showed he had an inclination towards Miwoks. Did Yosemite Park Service ever get rid of that clown? He "thinks" he is a scholar. It's when wannabees get involved in Indian business that they mess it up. Submitted by joiseyshowa on Mon, 2006-08-07 13:40. I suppose it should have not been a surprise, but I was surprised and disappointed in my visit to Yosemite. Not with the park. It's impossible to put into words the beauty of that valley. But I was disappointed. There is no doubt that a natural garden like this has a long history behind it. The surrounding areas are relatively inhospitible. But the valley provided an ideal place to live. Whatever people lived in this valley must have been either extremely fortunate and revered by their peers or extremely good at defending their lands. Nothing of this showed up, though, as I toured the valley. From features named with English terms to celebrations of an american who "discovered" the value of Yosemite, it was clear that this was a conquered land and was being presented by the victor. Who cares where what's-his-name built a lodge below Yosemite falls? I'd like to learn more about its true history. The valley had to have a long history well before americans. I was hoping to learn about that and also about the significance that the original occupants attributed to its features. Americans pride themselves on scaling the walls. I'm no climber, but it seems that this must be offensive to the people with a heritage of respecting the valley rather than conquering it. So thanks for your blog and providing a glimpse of what is closer to the truth. Should it matter? Or is it just who you know? A barterer, a swapper and a whiner. How can I post links, create bold and italics text? Just for fun, who said these words ? ?